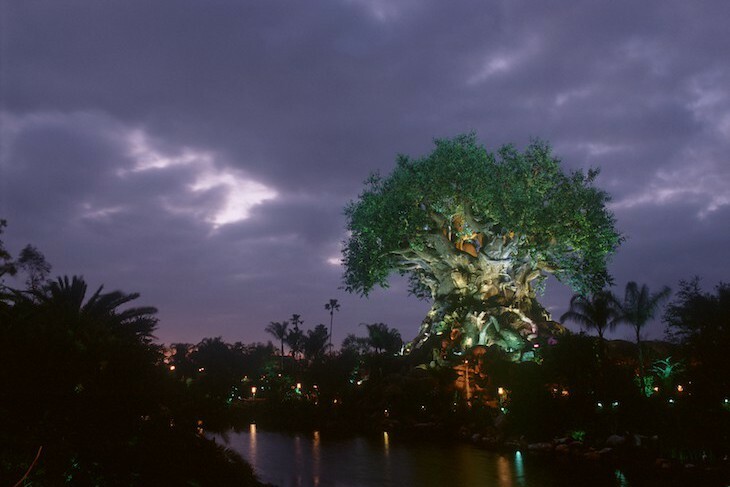 “We inherited this earth from our parents and are borrowing it from our children.” This is the important message Disney strives to convey in its environmentally conscious theme park, the Animal Kingdom. It’s quite a beauty with more than four million lush, towering plants, trees, and grasses. Although the Animal Kingdom is five times the size of the Magic Kingdom®, don’t panic; it won’t take two days to see everything. Remember much of the land is an enclave for the animals; the rest is easily conquered in a day. Along with the main attractions are great hidden nooks and mysterious trails just waiting to be discovered. If you see a path leading off the main walkway, by all means follow; it may just take you to a place of sheer enchantment. Take time to explore and discover the many marvelous natural settings throughout or risk leaving a bit disappointed when you haven’t grasped the true significance of this magnificent theme park. 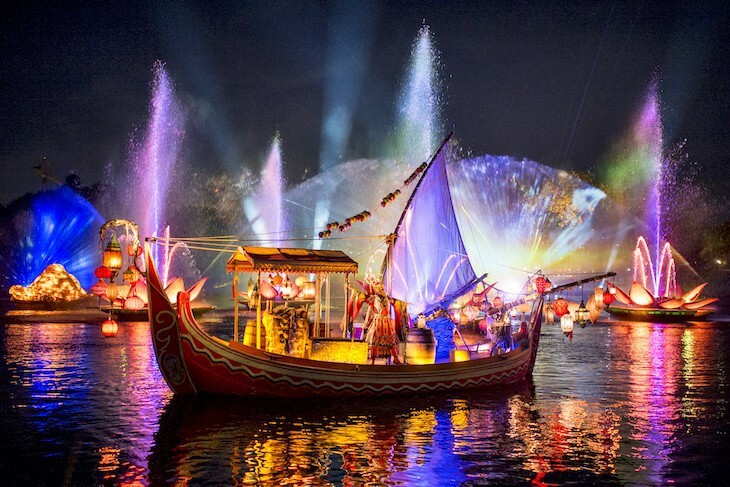 And now the park is more exciting than ever after dark when the Tree of Life Nighttime Awakenings starts the evening followed by the Rivers of Light show. And nothing beats the sight of Pandora at night when the beauty of the land transforms to glow by night with bioluminescent flora, the walkways twinkle, and beautiful waterfalls cascades with color. Provides a beautiful backdrop as you wind your way around the park. Get up close and marvel at the hundreds of carved animals. The great tree awakens during a mesmerizing showcase of color and light. 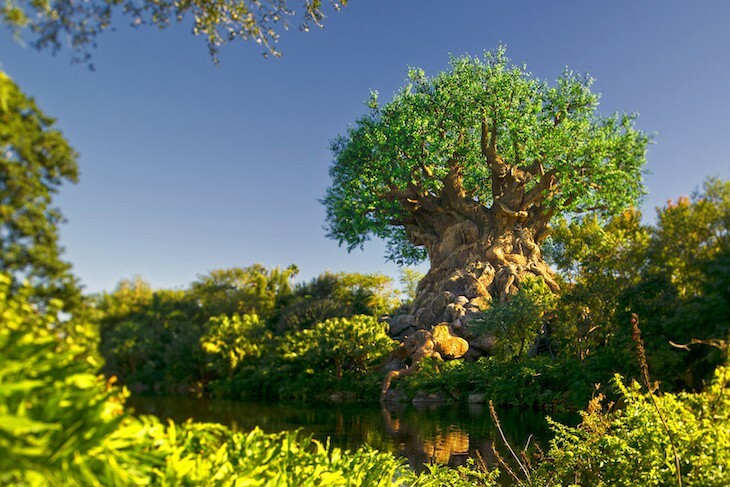 Disney’s Animal Kingdom® Theme Park's Main Street of sorts is the Oasis, a winding series of pathways leading to the hub, Discovery Island®, whose focal point is the Tree of Life®. 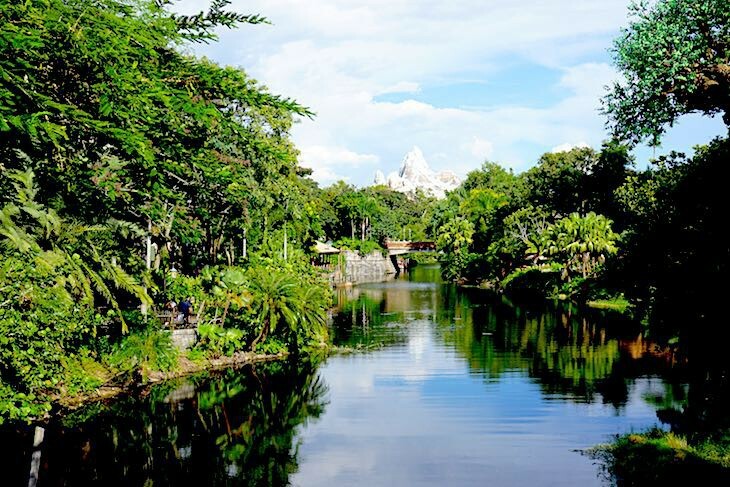 Four of the Animal Kingdom’s five lands—Africa, Asia® Land, Pandora – The World of Avatar, and DinoLand U.S.A.®—are accessible by crossing one of the bridges spanning the Discovery River that encircles Discovery Island Area. Africa, Asia Land, and DinoLand U.S.A. are interconnected by back pathways, with Africa and Rafiki’s Planet Watch® connected to one another by train.